Looking over the green scenery from above the Kraton cliff. If you are interested, you can easily come down here either driving your own car or renting it from car rental Bandung. This spot is located in Ciburial village, not far from the downtown of Bandung. It will be even more beautiful when you arrive before the sunrise. You can enjoy the morning atmosphere of Bandung covered by thick fog and coupled with adorable sunrise on the east side of the cliff. All the provided beauty are really Instagrammable, so don’t forget to take some pictures! Taking a picture in front of the lake with the background of lined boats and lodges made of bamboo. That is the most popular spot to selfie in Bamboo Village, Lembang. The place itself really provides the typical object of Lembang, one of the districts in Bandung, with fresh air and green scenery as far as you can see. The location is far enough from the downtown, in Cisarua, West Bandung. You have to ride a motorcycle or drive a car, but if you don’t have both, then you can rent it from car rental Bandung. GH Universal is five-star hotel located in northern part of Bandung with great architecture building in European style. The luxurious image is attached to the hotel through its windows and domes which make this hotel stands out among other hotels. Furthermore, you are allowed to bring your pet since they have Pet Inn inside. If you stay in the hotel, don’t miss any picture for your Instagram! Glamping is an abbreviation of “Glamour Camping”, the new lodge at the lake side of Patenggang, in Ciwidey, Bandung. The Glamping provides high-class tent and fabulous scenery around it. The beauty is also complimented by the Pinisi Resto, that has a unique shape in the form of a boat. You can relieve the fatigue by eating at the restaurant and camping in the luxurious tent. Enjoy your world and snapshot the moment! Stone garden is a geopark in Bandung filled with rocks. Called Stone garden because the park spreads rocks everywhere in a unique shape and very Instagrammable. The history also tells the place actually used to be an ancient lake. A thing that makes this place special is the panoramic view as if you were outside the country. If you are curious, you can reach the garden for an hour by driving a car from the downtown of Bandung. Another alternative, you can rent a car from car rental Bandung. Where is The Best Place for Shopping in Bandung? Bandung is famous for shopping because the prices that are sold in Bandung is cheaper than buying elsewhere. The question now is why prices in Bandung can be cheaper than elsewhere? Prices in Bandung are cheaper than in other places because of Bandung close to the source of raw materials. Prices of the raw material cost are the reason that makes the prices of products sold in Bandung is cheaper than buying elsewhere. The labor costs are cheaper and the buy directly to the factory or production centers make product prices in Bandung became cheaper than to buy it elsewhere. Top Tips for Vacation in Bandung. Cibaduyut as shoe leather craft centers was already there since the Dutch colonial era. In 1920, there were some people who opened the business in making and selling shoes. His efforts to develop and is followed by his neighbors, so that in 1940, there have been 89 craftsmen in Cibaduyut. And in 1950, the number is growing to 250 entrepreneurs craft leather shoes. In 1989, President Soeharto inaugurated Cibaduyut as an industrial area of craft leather shoes in Bandung. Cibaduyut has been the longest leather shoe sales in the world’s since along Cibaduyut Raya Street, then you will see the stores are large or small that sells leather shoes. You can buy the shoe according to your order. You can be purchased at retail or wholesale. Cihampelas well-known for selling a variety of T-shirts, jeans and unique handicrafts of leather. In 1987, there was a shop selling jeans at a cheap price in Cihampelas. At that time, many people like to wear jeans with models in tatters. Then, followed with stone wash jeans model. In 1991, Henry Husada opened his first store called Korek Api Jeans in Cihampelas. At that time, the store deserted while other shops are crowded. After the investigation was the visitors prefer to park cars on the side of the road, so the shops on the side of the road are always crowded. He then rented a shop on the side of the road. And his shop became crowded. From a single store, their business continues to grow so that it becomes some stores. Henry Husada managed to make Cihampelas becoming increasingly popular as a cheap jeans center in Bandung. He did by building a huge statue placed on top of the store. Large statues are statues of famous figures such as Superman, Hulk, Spiderman, Batman, Rambo, Aladdin, Tarzan, etc. The uniqueness of its stores to make more and more visitors come to Cihampelas. Cihampelas so well was known by the name of Jeans Street. At that time, one shop there can earn a turnover of 200 million. If you go to Bandung, then you should visit Cibaduyut and / or Cihampelas. If you do not go there, then you feel like never went to Bandung for the two places is an icon of Bandung. If you were interested in going to Cibaduyut and/or Cihampelas to shop the local products, you can use the Dirgantara Car Rental. We provide Toyota Innova and Avanza with half and full day package. Things You Need to Know About Car Rental with drive. Bandung has become one of the favorite tourist destinations of the entire population of Indonesia. Particularly residents of Jakarta. The question now is why Bandung become so favorite? Since, the city of Bandung offers a lot of places of tourist interest. In this article, the author discusses only medical tourism. One of the medical tours visited by tens of thousands of person is the hot springs. Soak in the hot spring can cure various skin diseases such as tinea versicolor, ringworm, and scabies. Besides, soaking in the hot springs can cure rheumatism and gout. Each hot spring has admission tickets vary. Some are expensive and some are inexpensive. Of course, we all want to go to a hot spring that is cheap but good. Ha … 7x So, the authors give information about good hot spring, but cheap in Bandung. But, you are only visiting and did not stay there. Raksa Dinata, a poor farmer had a beautiful girl named Maribaya. Many youths who fight because they want to marry Maribaya, so Raksa Dinata meditated in Tangkuban Perahu to prevent it. When meditating, Raksa Dinata was visited by an old man who gave him two bokor (place to bring water made of metal), which should be poured into the West and to the East. Raksa Dinata poured water from Bokor, and the place is now named as Situ Lembang. Situ means Lake. Seeing that, Raksa Dinata asked Maribaya to pour water from Bokor to a place not far from their home. A few days later, comes a hot spring containing sulfur, in a place where Maribaya pouring water from the bokor. The hot spring, it can cure various diseases, so residents abuzz come there to soak. The residents like throwing a coin into the pool after they recovered from an illness. In 1835, Raksa Dinata makes the place as a tourist area so that he became wealthy because of the crowds of visitors who come there. Currently, Maribaya not only provides hot spring, but also nature attractions to the Curug Omas. Curug means waterfall. Ciwalini is not far from the natural attractions Situ Patengan and Kawah Putih as in Ciwidey, Bandung, West Java. The strategic location and low prices make Ciwalini visited by tens of thousands of tourists each month. In addition to the hot springs pool, there are several other tourist facilities here. You can play the Flying Fox, ATV riding, bicycle rentals, swim or try the food at the food court there. Cibolang in the village of Wayang Windu, Pangalengan, Bandung. 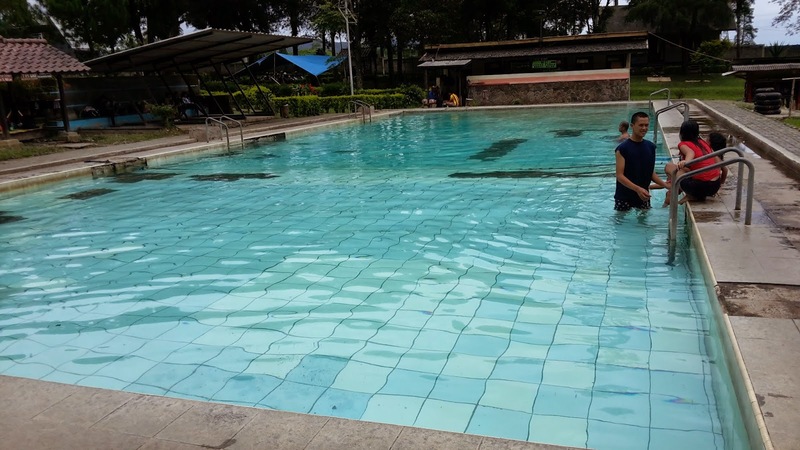 Starting in 1985, Cibolang becomes one of the cheap hot springs sites in Bandung. The content of sulfur in Cibolang very nice to treat skin problems, rheumatism, and gout. In addition to the hot springs pool, in Cibolang also provides fishing pond. Bandung offers a lot of interesting sights, so Bandung became a favorite place to visit during the holidays. In addition to interesting sights, Bandung also provides a cheap tourist spot. If you are looking for cheap hot spring in Bandung, then go to Maribaya, Ciwalini or Cibolang. If you are looking for a vehicle for rent, then contact Dirgantara Car Rental. Things You Need to Know About Car Rental with driver. Bandung is the capital of West Java province with a land area of 16,767 hectares. Bandung city is surrounded by mountains, such as Mount Tangkuban Perahu, Wayang, Sunda, Tilu, etc. Curug Omas, Cigulung, and Cikawari in the tourist area of Maribaya Nature Hot Spring Resort Waterfall. Curug is a word derived from the Sundanese language. Curug means waterfalls. Curug Cimahi has a height of 87 meters so that it becomes one of the highest waterfalls in Bandung. From the entrance gate, we had to walk down the stairs for 20 minutes, and then we arrived at the place Curug Cimahi. Curug Malela is also known as a mini Niagara Waterfalls in Bandung. Curug Malela has a height of 70 meters so that it becomes one of the highest waterfalls in Bandung. From the entrance gate, we had to walk down the stairs for 30 minutes, and then we arrived at the place Curug Malela. The grueling trip will pay off when we get there. Remember this! We must be careful when we are in the rocks that are near the waterfall. Especially during the rainy season. Do not let us have a fatal accident like the video below. Misteri Curug Malela Bandung Yang Terekam Kamera..!! Curug Omas in the tourist area of Maribaya Nature Hot Spring Resort Waterfall. Actually, besides Curug Omas, still Curug Cigulung, and Curug Cikawari in Maribaya. Curug Omas is the largest waterfall in Maribaya. Therefore, Curug Omas more famous than the other waterfalls in Maribaya. There are 11 Curug or waterfalls in Bandung. The 3 best waterfalls in Bandung are Curug Cimahi, Malela, and Omas. So what are you waiting for? Contact the Dirgantara Car Rental and visit the 3 best waterfalls in Bandung. Culinary tours in Bandung – 7 best places you should visit. Bandung is the capital of West Java province. Bandung has long been famous for its natural beauty. Therefore, Bandung dubbed as the city of flowers by the Indonesian people and the city of Paris Van Java by Europeans. You will never regret it if you go to the city of Bandung because, in addition to beautiful scenery, you can also enjoy delicious dishes in the city of Bandung. Therefore, Bandung is a place you should visit if you are a hunter food that tastes good. So what are you waiting for? Contact the Dirgantara Car Rental and visit the 7 best places of culinary tourism in Bandung. In Malaysia or Singapore today, the name “Bandung” elicits memories of weekend-long shopping sprees. The city is home to countless outlet stores, mall and shops. But the city wasn’t built on an empire of mall and shops. the former Dutch East Indies, Dutch and Indonesian architects set to work transforming the city. The height of their activity took place between 1900 and 1940. With tree-lined avenues, a multitude of parks, and elegant streets, Bandung was given the nickname “The Paris of Java.” According to US-born Frances B. Affandy, former executive director of the Bandung Heritage Society, the city boasts about 500 Art Deco buildings, an astounding figure for any metropolis. When visiting the city of flowers, lest you be lulled by culinary and fashion or clothing alone. Although lined up as his Paris Indonesia, but the Flower City also save a lot of unique and interesting sights that make you feel at home and make the mind becomes fresh again. Well, of all the tourist attractions in the city, dont forget to visit ‘Kawah Putih’ as your main destination. Because, like white crater is said to be unique, and be the only one in Indonesia. White Crater is actually located in Ciwidey, Java weight. Mileage from downtown Bandung until arriving at the location is approximately 50 km. This makes the distance away private vehicles become the primary choice rather than public transportation. The origin of the formation of this white crater was caused by the eruption of Mount compliance, which eventually became a lake with a mixture of sulfur white water. The color of the crater itself could change again, in accordance with the temperature, the weather, and the sulfur content contained therein. Geographically, the location of this Ciwidey area in a mountainous region, which had reached a height of 2400 meters above sea level. Based on these heights, automatic air temperature in Ciwidey relatively cold, which reached 220 C in the daytime, and 8o C at night. Therefore, do not let your visit to the White crater became un-memorable because you forget to bring a jacket or thick clothing. However, for many people the temperature in these places is not an obstacle to prewedding photo, scene of some of the scenes in the film, painting, climbing (climbing), and also horse riding. We all certainly agree that the White Crater travel is the best tourist attractions in the city of Bandung. However, did you know that this place used to store the dark history of the residents around? Yes, once white Ciwidey crater is not as busy now, even the birds did not dare to approach because it would result in death. Based on the bird’s death, the community around the crater of White Attraction regarded as a haunted place, which is occupied by spirits. This continues for several hundred years, until finally in 1837 came a German botanist who examined the place to be the government’s development tour. On arrival at the location of Ciwidey Kawah Putih, there are 2 parking places to store your vehicle. The first is the underground car park at an average price of 5.000, – alone, and the second is a parking lot on the price reached Rp 150.000, -. The price difference is due to the distant location of the parking lot down to the crater, which is about 5 Km. In contrast to the upper parking lot near the crater, of course natural that the price difference terlambung away. However, there are solutions that can be used, the use of ontang-earrings. Ontang earrings taken from Sundanese, which means pacing. This is the task of the vehicles take tourists from the parking down to the location with the price of Rp 15,000, – only per person. Although the White crater tour can be achieved with the motor, but it is highly recommended to use a car to give the best comfort for each of you. If it does not have a car, then the best advice is to book a rental car from dirgantaracarrental.com Bandung. Vendor DirgantaraCarRental.com was sudha proven professional in dealing with any mode of transportation of tourists for enjoying the city of Bandung. Now the holiday season has arrived, and the time to make the mind becomes fresh again with visiting places of tourist interest in the city. For the citizens of the capital and surrounding areas, will certainly know the true excellence of the city, led by Ridwan Kamil is because the distance is not too far away. However, it is different from the others travelers who are unfamiliar with the places of interest in this Paris of Java. Therefore, the following will discuss some of the interesting sights in the city of Bandung, the natural attractions, modern, as well as a shopping center for souvenirs, which you can not miss for a few days on vacation in Flower City. We all know very well by the legend of Tangkuban Perahu, which is the love story of a boy named Sangkuriang, where loving mother who youthful named Dayang Sumbi / Rarasati. From that legend, Tangkuban Perahu become a major tourism destination in Bandung, with the ever-increasing number of tourists every year. The location of Bandung tour is in the north of the city of Flower, exactly as far as 20 Km. When traveling to the location, you will find a hot water bath Ciater, that is located at the foot of this mountain. When arriving at the location, you can find three unique crater, which is the main attraction of Mount Tangkuban Perahu. Kampung Gajah has become one of the tourist destinations suitable for family holidays. Incorporated in an integrated tourism area, allowing you to locate any desired type of travel. In this place, you not only can enjoy the show of elephants, but also shopping, culinary tours, and even some types of games of water and land. This makes the tourist area of ​​Kampung Gajah never quiet especially during the holiday season arrives. One of the most crowded tourist spots Bandung is ‘White Crater Ciwidey’, which has a distance of about 50 KM from downtown Bandung. Ciwidey white crater popularity is based on the unique natural phenomenon, where water crater in this place has greenish white color. The color can vary according to the temperature and the weather around. The uniqueness of the white color in this place due to the sulfur content of the mountain, which affects the color of the water and surrounding land. If you are heading for the White crater Ciwidey, do not forget to bring a mask as a means to enjoy this place for a long time. In addition to the white crater, Ciwidey area also stores other interesting Bandung travel the strawberry garden. Here, you can take a leisurely walk in the expanse of the garden, and can immediately reap strawberries themselves. Strawberry who have learned will be weighed, and must be paid according to the weight of the scales of the strawberry. If you would like a strawberry with the best quality, then visit the Strawberry Gardens Ciwidey in the dry season. Because strawberries in this place would be much better than the rainy season. That’s four most popular travel place in Bandung, which can not be separated from the charm and appeal of Flower City. If you are interested in visiting the place, I suggest to rent a private car in order to obtain as planned vacation without interruption. One of the car rental vendor whom you can trust is Dirgantara Car Rental, the car rental company Bandung experienced vendor with the best price and quality. Further information about these Bandung car rental you can access through the website itself DirgantaraCarRental.com.